The Universal Audio UAD-2 Octo Ultimate 7 package combines UA’s most powerful DSP Hardware with a collection of 99 UAD Powered Plug-ins. 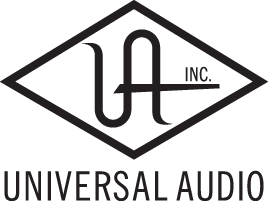 The Universal Audio UAD-2 Octo Ultimate 7 injects a massive dose of power and on any system with eight SHARC processors on a PCI-E based PC or Mac system. With the inclusion of 99 of some of the best hardware emulations, from Ampex, EMT, Neve, Manley, SSL, Fairchild, Studer and many more, this powerful bundle will give all the different colours and tone of the best equipment found in the best studios in the world. The UAD-2 Ultimate 7 is compatible with Mac OSX and Windows 7 (and up) and works in the most popular plug-in formats (VST, AudioUnits, RTAS and AAX). Includes 99 UA-Developed Plug-ins* including new Lexicon 480L plug-in. Running on UA's most powerful eight-core DSP configuration - PCIe. Ideal for studios and power users who want a significant saving for 'going big'.